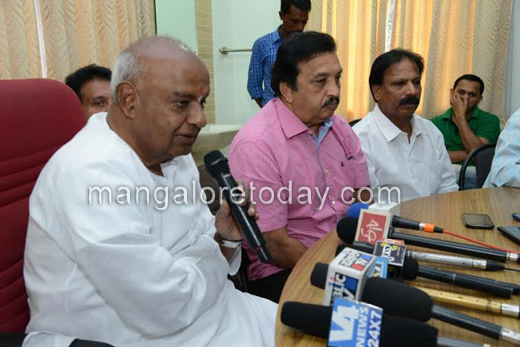 Mangaluru, Dec 26, 2014 : JD(S) National President and former prime minister HD Deve Gowda has urged Prime Minister Narendra Modi to make clear his stance on the recent row over conversions that has rocked the nation. 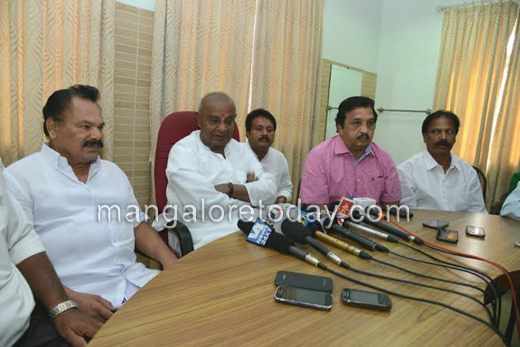 “ If Modi fails to speak up on the issue then there are chances that people would be misled by others who speak about it,” said Gowda in his interaction with media men in the city on December 26, Friday. The JD(S) Supremo landed in the city enroute Bengaluru from Bhatkal. On the proposal for parties under Janata Parivar to merge, Deve Gowda said the Janata Parivar will be 35 seats strong if Naveen Patnaik of Biju Janata Dal joins hand. The Janata Parivar can then be the third largest party, he said and hoped the merger would be a reality by February next year. 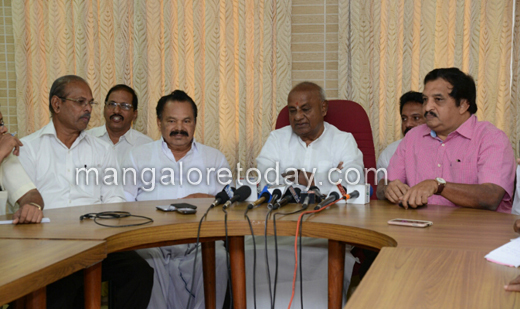 On this occasion, Gowda also made it clear that he has no plans to contest the next Parliamentary elections.